How to emphasize the uniqueness of car models? 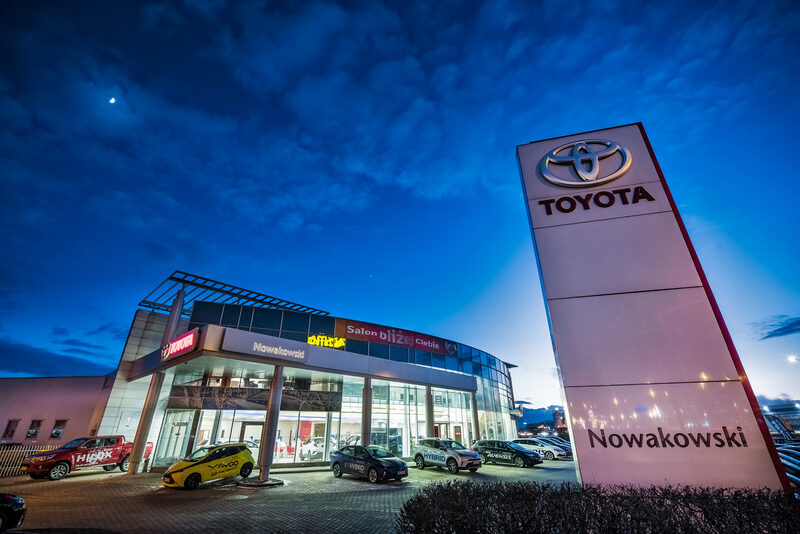 Toyota Nowakowski is a passionate group of dealers who specialize in selling both new & used vehicles and provide maintenance services for their customers. 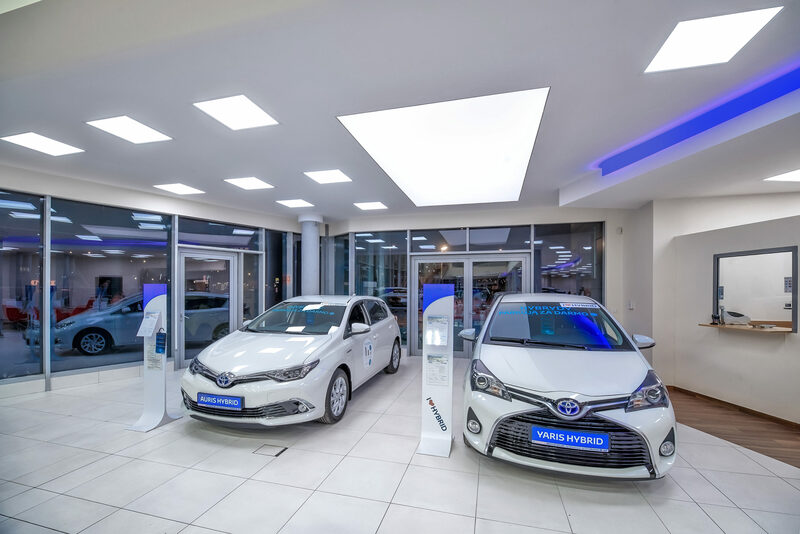 After the lights upgrade in their dealership located in Wałbrzych, the next stop was their branch in Wrocław. A new challenge awaited, configure the luminaire system in a manner which would highlight the color schemes of each vehicle. At the same time we had to improve the working conditions for employees and optimize the lights for their workspaces. 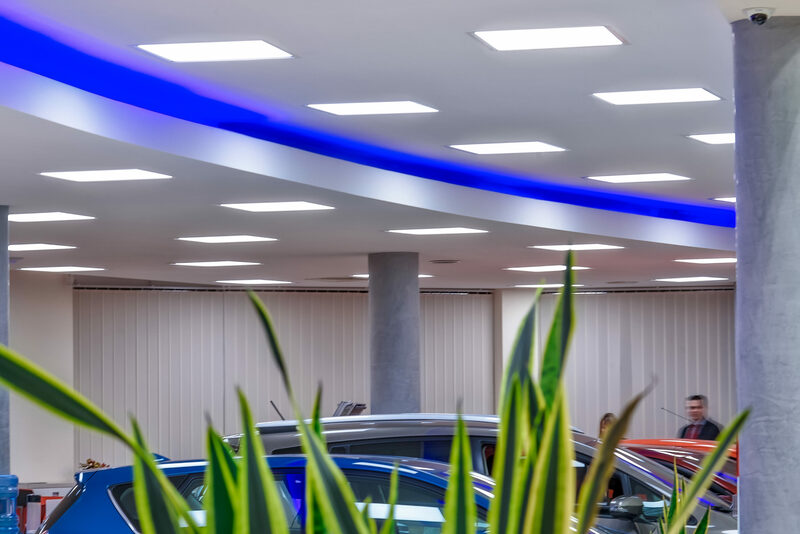 Basic metal halide luminaires did not have the efficiency to emphasize the interior design of the vehicles; the lights system had also an negative impact on the perception of the color schemes. 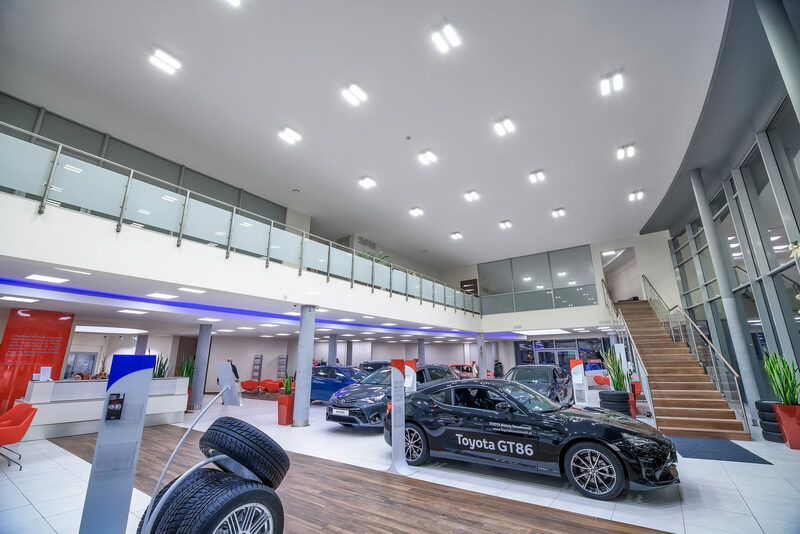 The newly designed mezzanine, needed luminaires and was the focal point which inspired changes in other parts of the dealership. The whole installation did also lack a control system – the lights were turned on and off manually. After a complexive audit, we designed and installed our light project on a retail space of 700m2. The exposition area was intended for 800 lx, which ensured tremendous visibility of the exhibited goods. The work spaces were lit by lights of 500 lx. The Highbay:LED fixtures, highlighted the area from a significant height, allowing the customers to enjoy and admire the interior design of the vehicles. For a modern interior our R&D team designed from ground up a custom Backlight:LED project, intended as decorative barrisol ceiling, which additionally illuminated the area. We also installed a more fancy version of the barrisol above each workspace and at the drive in part of the dealership. We used a LiveLink solution – which grants full control over the lights in each part of the area. The light control system enhances the sales process, i.e you can direct more light to the areas, in which the customers reside. well, including the interior of the car.”.